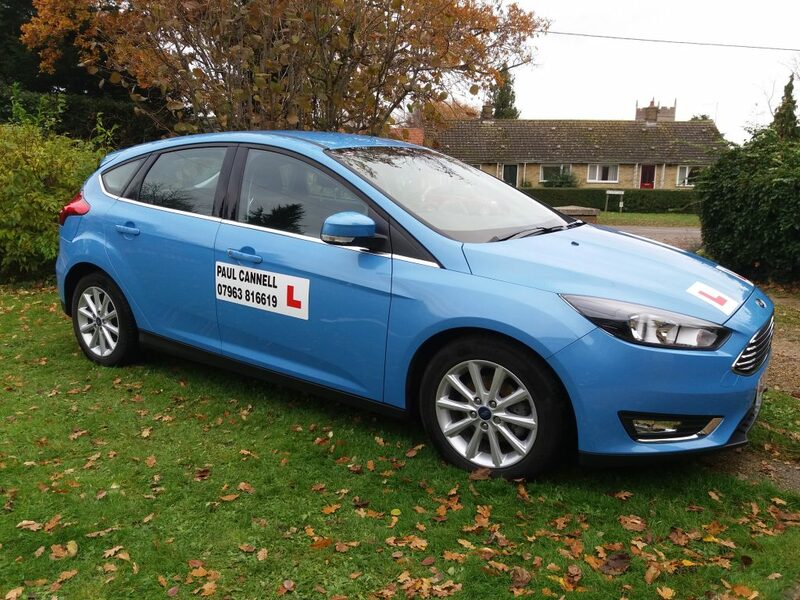 Looking for Driving Lessons in King’s Lynn and West Norfolk area? Enjoy Driving Test Success with the Paul Cannell Driving School – Honest, Reliable and Great Pass Rates! Pass Your Driving Test and Enjoy the Freedom It Brings! Paul provides personal tuition to guide you through your Practical driving test. Whether you’re just beginning or have failed before and need a refresher, we’re able to help. Feel free to browse the website, if you have any questions about our driving lessons then please don’t hesitate to get in touch, either by phone or by email. Recommendations and referrals are always rewarded. Spaces available for new drivers or intensive courses, Hourly lessons from home, work or school around Downham Market, Swaffham & Kings Lynn area. A 1st time pass for Adam after a 15 hour lntensive driving course, Congratulations Adam, a great result. Intensive / semi-Intensive driving course or Weekly lessons?. It's up to you, we can provide any option to suit your circumstances. Congratulations to Adam in passing his driving test today with only 4df, a very good result. Adam you can now drive to work instead of riding the bus. It's been a good week with Two First time passes. Congratulation to Arron from Feltwell and Sara from Gayton. Another 1st time pass, this time for Rebecca after a 25 hour Intensive course.